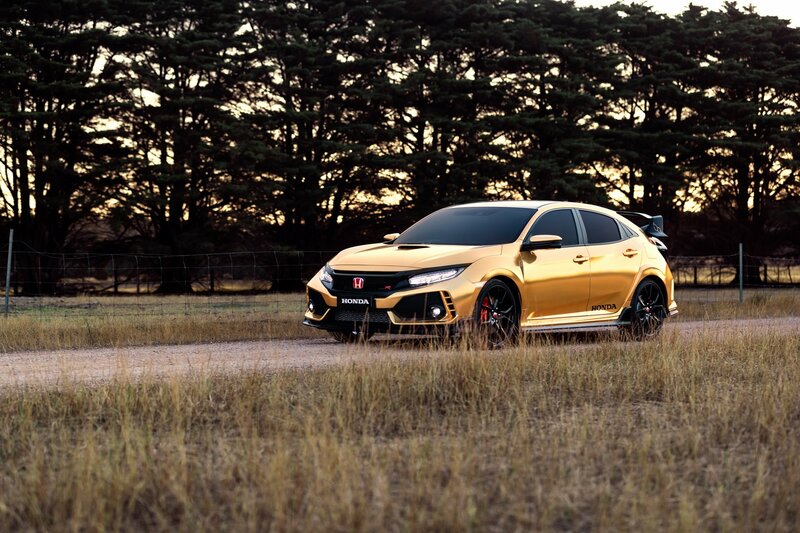 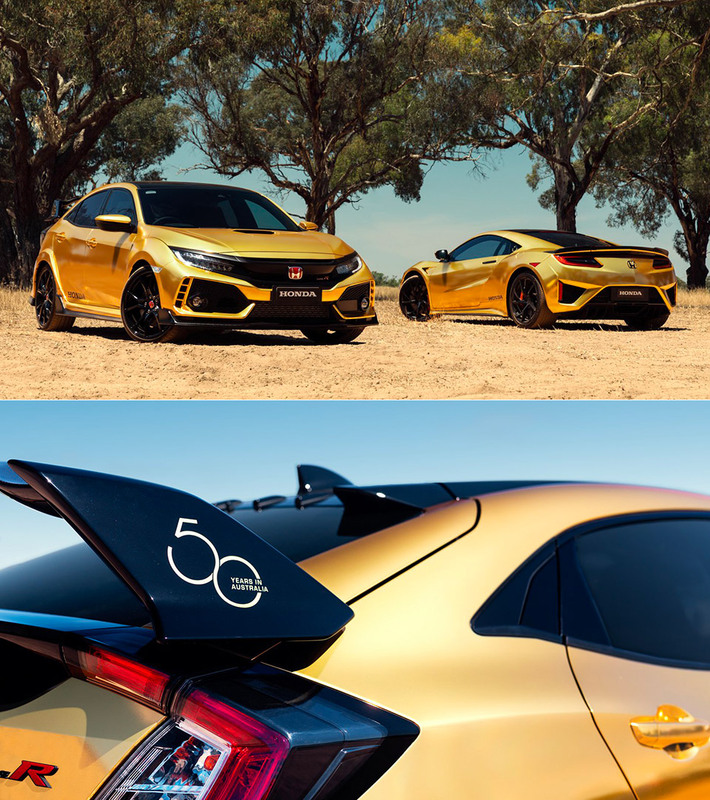 Honda has been selling vehicles in the Australian market since 1969 and to celebrate its 50th anniversary, they teamed up with Vinyl Wraps and Graphics to give the Civic Type R as well as their NSX supercar, gold makeovers. 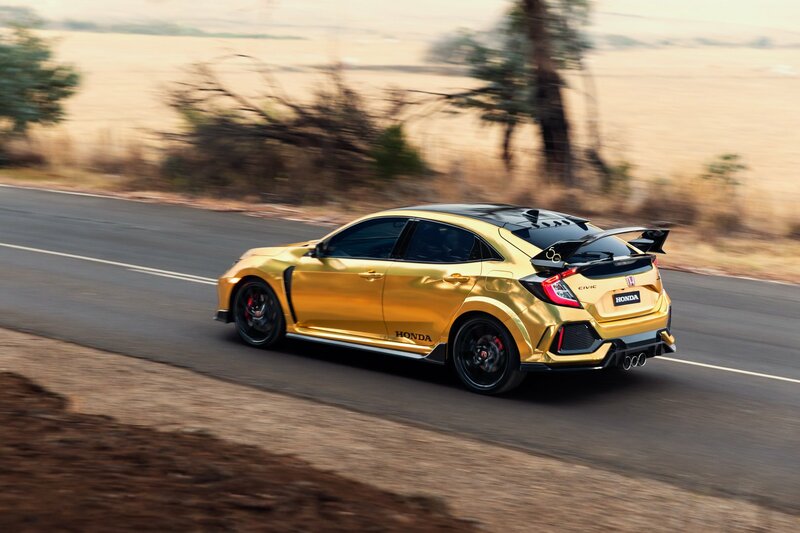 “We thought about how we could celebrate our birthday, and our unique diversity in a bold and fun way. 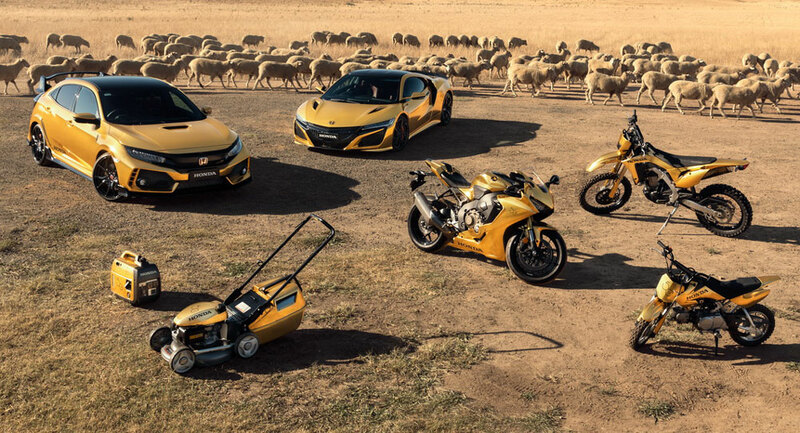 I mean, who has ever seen a golden mower or generator before?”, said the company’s Australia Managing Director and CEO, Hiroyuki Shimizu. 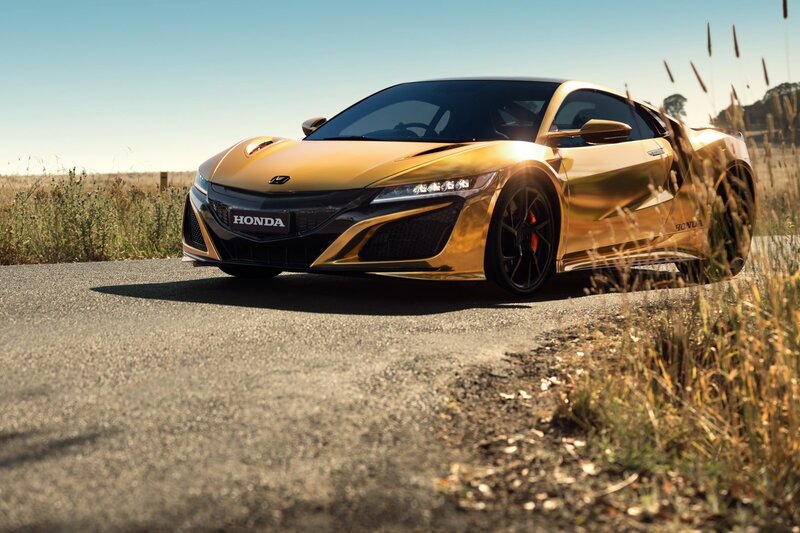 Read more for additional pictures and information. 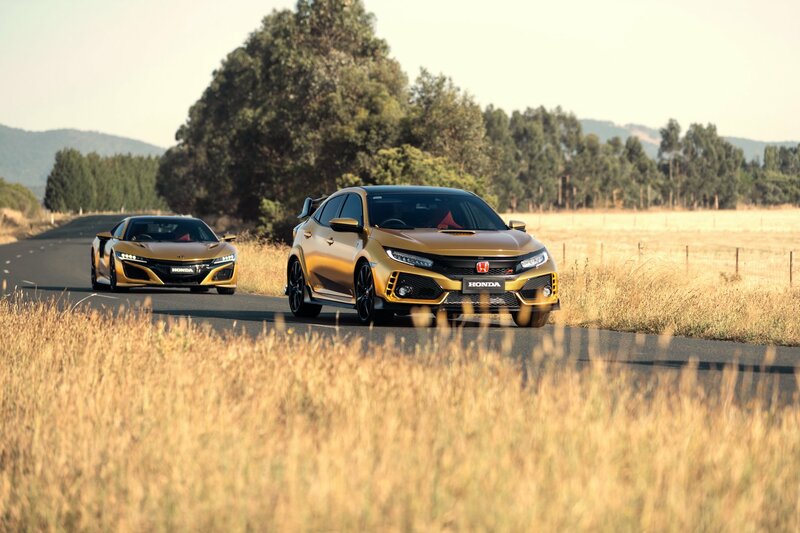 “No matter how nicely you’ll ask Honda, you won’t be able to buy a golden Civic Type R or NSX with black accents, nor a bike, lawnmower or generator with the striking design straight from the factory. 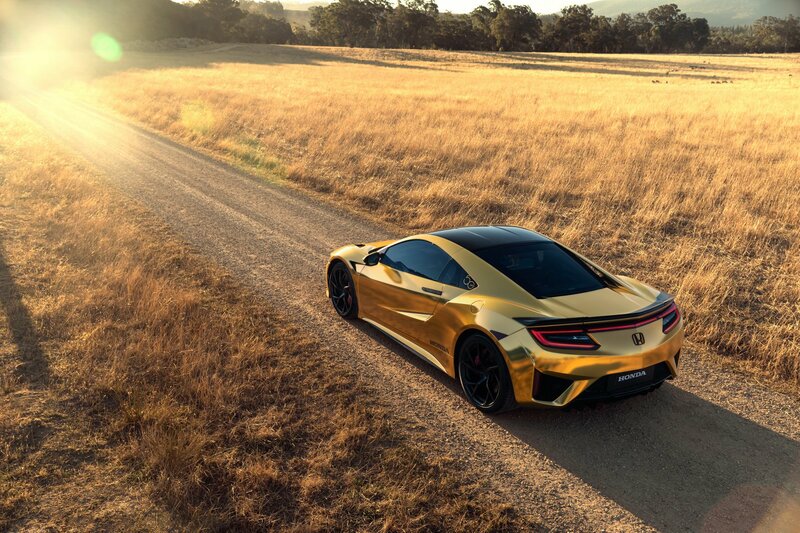 These have all been created for celebratory and promotional purposes and are not for sale,” reports Car Scoops.